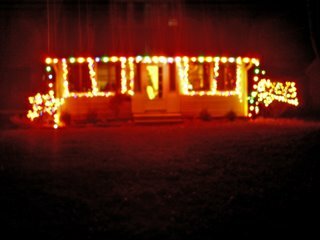 Married Single Mom: The Lights are UP!!! Well, the lights are up...and I was right...lots of swearing right along with each strand. 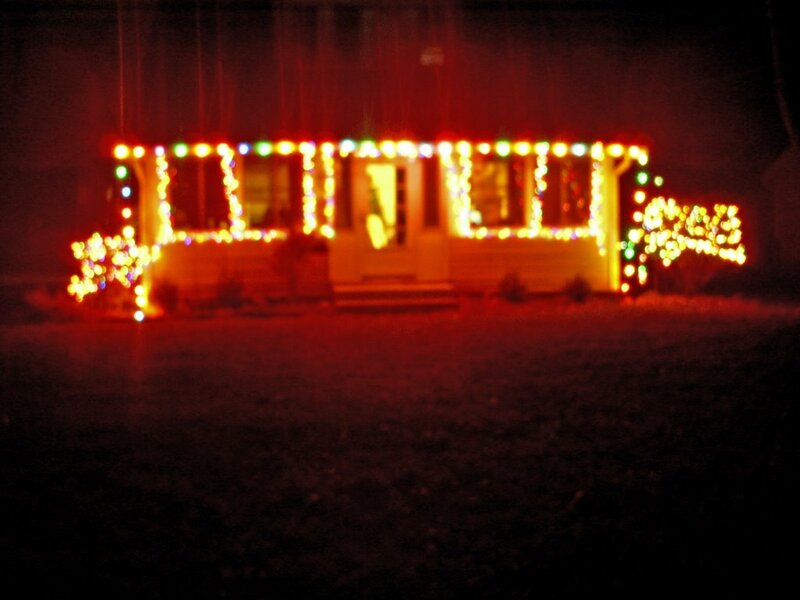 Here is a picture of the front of my house. I just outline the windows on the porch. I'm not ambitious to try and do the rest of the house. The upside to doing this today...I could do it wearing jeans and a short sleeve shirt...it was almost 60 degrees here! When we got the lights out...only 3 strands worked. So I had to run out and buy a bunch more. I told hubby that this will teach us to leave them up until Easter! The Christmas tree is also up, waiting for me to put lights on that this week and then we will decorate it next weekend. The rest of the decorations are now cluttering up my front porch waiting to be taken out of boxes and put in their respective places. So, the holiday season has truly begun around here! Man, you lit up that whole neighborhood! Sweet!